This week the tater team visited Delaware for the second time! This go-around they rented a Bayside Airbnb in the Dewey beach area. Upon arrival, the team was warmly welcomed by Rehoboth and Dewey locals. They parked the truck in a lot off the Coastal highway and it quickly became the town attraction! 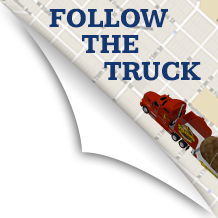 Locals gathered around to see the truck and greet the #TaterTwins #andLarry. The team was even treated to a free dinner at the neighboring Chick-Fil-A! After the frenzy died down, they went to their Airbnb in Dewey Beach. At the Airbnb there were complementary bikes, kayaks, and a paddle board for the team to use. The next day the team spent their day off kayaking and attempting to paddle board in the windy Rehoboth Bay. 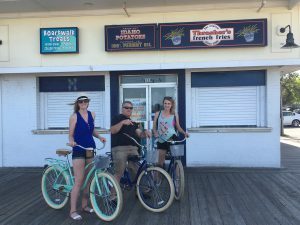 They also enjoyed riding their bikes on the Rehoboth beach boardwalk. During their ride they spotted a sign advertising Idaho potatoes at a Thrasher’s french fries stand. 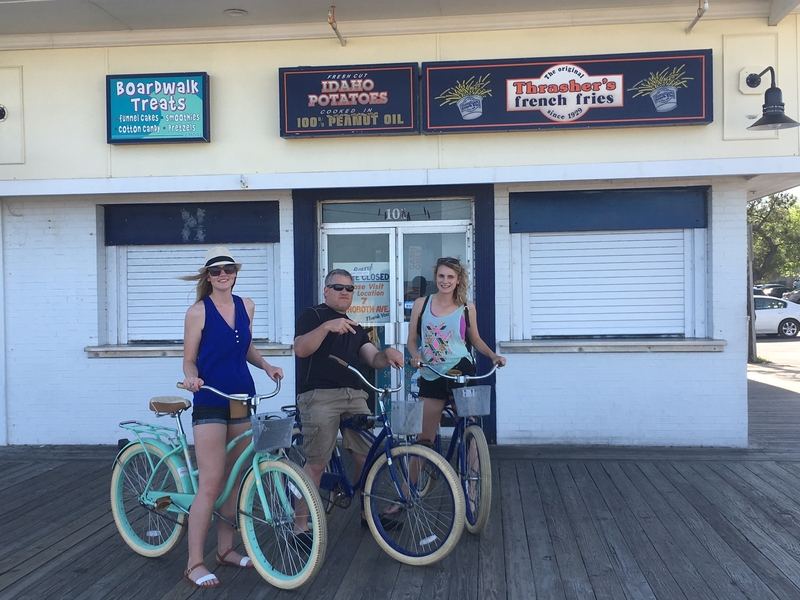 Rehoboth locals raved about Thrasher’s fries during their stay and said they were “The BEST french fries in town! ” Must be because they use Idaho potatoes! 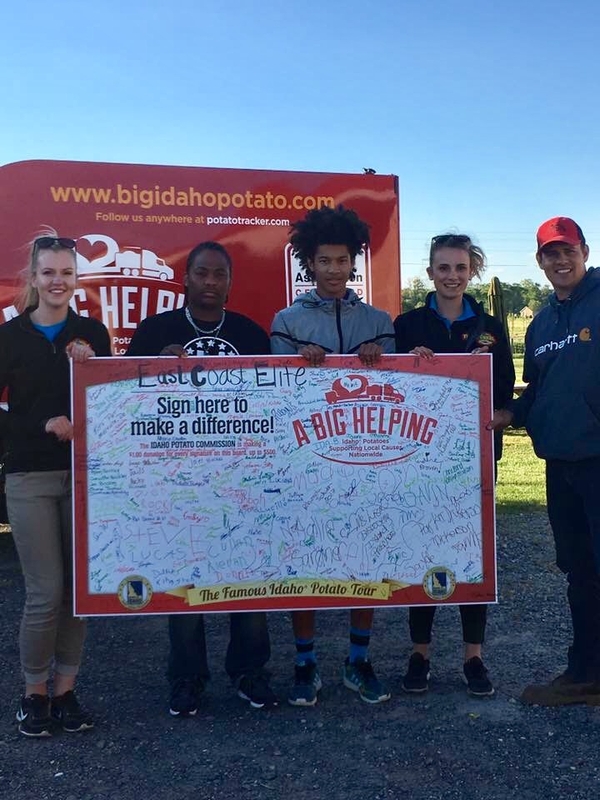 The Tater Team in front of the Idaho Potato sign for Thrasher’s French Fries. The following day, they had a fantastic event at Parsons farms produce in Dagsboro, DE. The farm employees coordinated potato inspired games and activities for the children to enjoy. Attendees were able to plant their own potatoes, decorate Mr. Potato heads, and play potato checkers & tic-tac toe! They even had potato sack races for kids. #AndLarry participated in one and won first place for his age division at the event, the tater twins were so proud of their coworker! 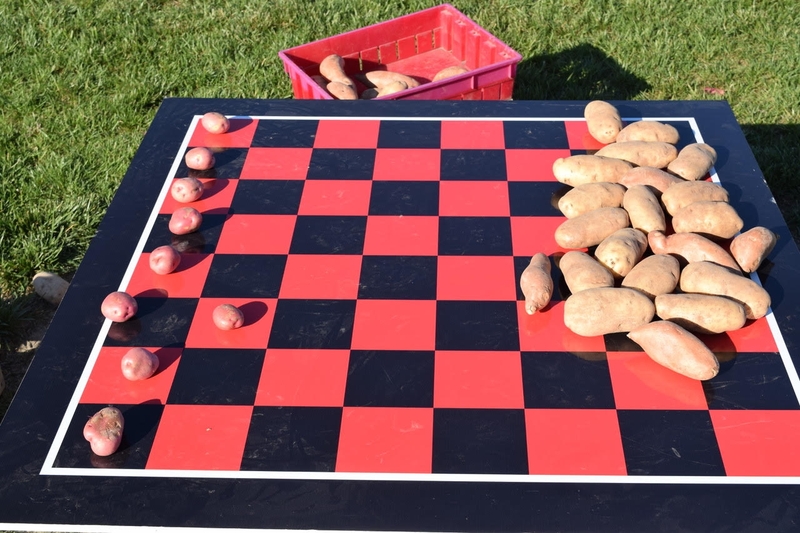 Potato Checkers at the Parsons Farms Produce Event. A Big Helping also fundraised for the non-profit basketball team, East Coast Elite, during this event. The money raised will help the team travel to the national championship game in Charlotte, NC in July. It was so rewarding to help the team raise money and bring the community together using A Big Helping! Overall it was a great day and the team really enjoyed meeting the Dagsboro locals and spending time at the beautiful Parson’s farm! The Tater Twins with East Coast Elite and farm owner, Paul Parson. After spending another day off in Dewey Beach, the team headed off to Oxon Hill, Maryland to gear up for the five guys franchise convention! 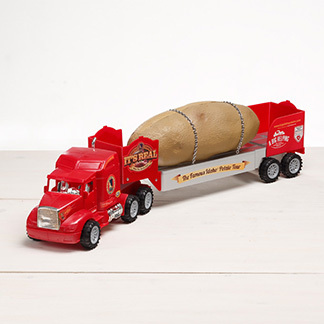 On Saturday the team moved the 6-ton potato indoors for the event. It was a tight squeeze but Larry did an excellent job at getting the truck in place for the convention. The team spent the remainder of the day celebrating #AndLarry’s birthday in the nation’s capital! That day the embassies were open to the public and the team got to visit the Indonesian and Haitian embassies. They also saw a traditional Jultagi tightrope walking show at the Korean cultural center. After visiting the embassies, the team walked through Georgetown and admired the classic architecture. Then to top of the birthday celebration, they enjoyed a delicious 5-course Thai dinner in downtown D.C.! 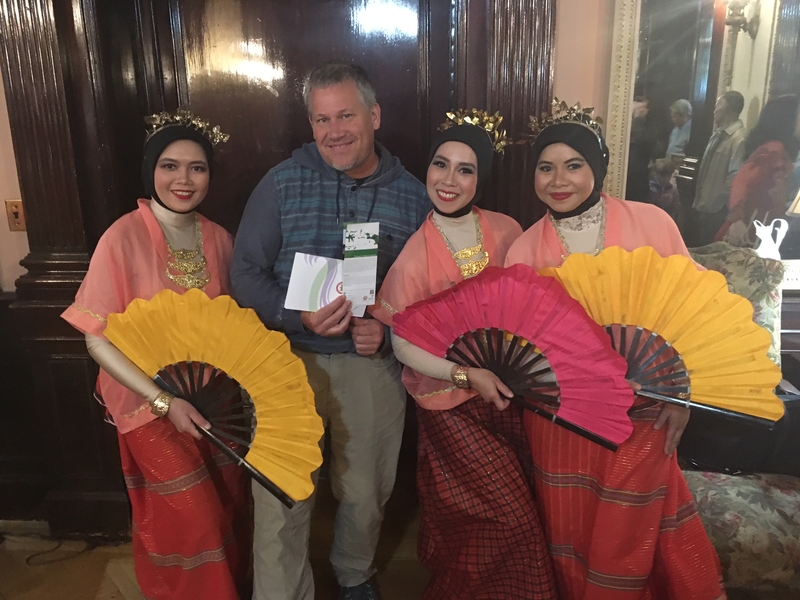 Larry at the Indonesian Embassy on his Birthday! The tater team is back to work this Monday and they will be attending the Five Guys cooperate convention this week. 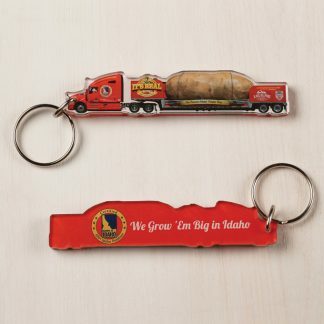 They will be showing off the Big Idaho Potato and representing the Idaho Potato Commission during the trade-show. 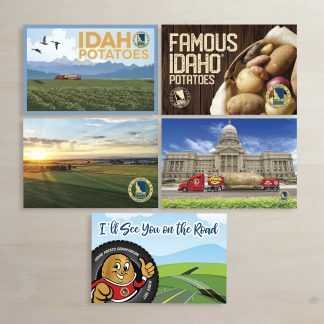 They will also be working alongside Rick Miles Produce Service Inc., who supply Idaho Potatoes for Five Guys’ restaurants. In addition, the team is invited to attend Five Guys’ reception meetings and cooperate dinners plus they get to watch the annual Five Guys Games! The team is elated to attend the convention and can’t wait to eat the tasty Five Guys’ fries made from Idaho Potatoes! 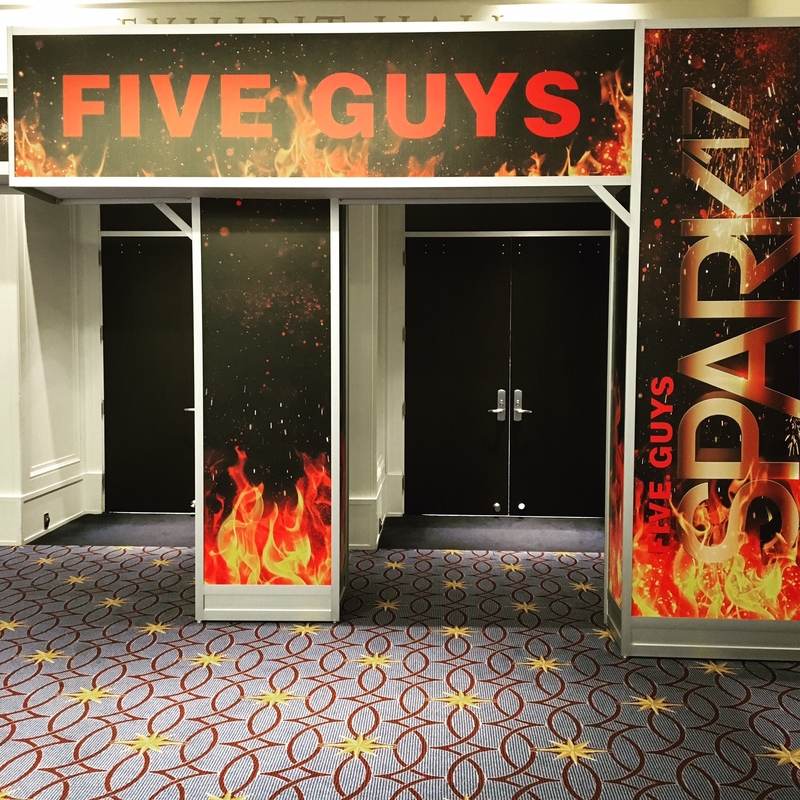 Five Guys’ Convention at the Gaylord Convention Center in Oxon Hill, MD! That’s it for now tater nation, stay tuned for more! We will be posting live updates on social media from the Five Guys convention this week and we will be releasing our latest video from our trip to New York City! Thanks for reading and have a marvelous Monday!